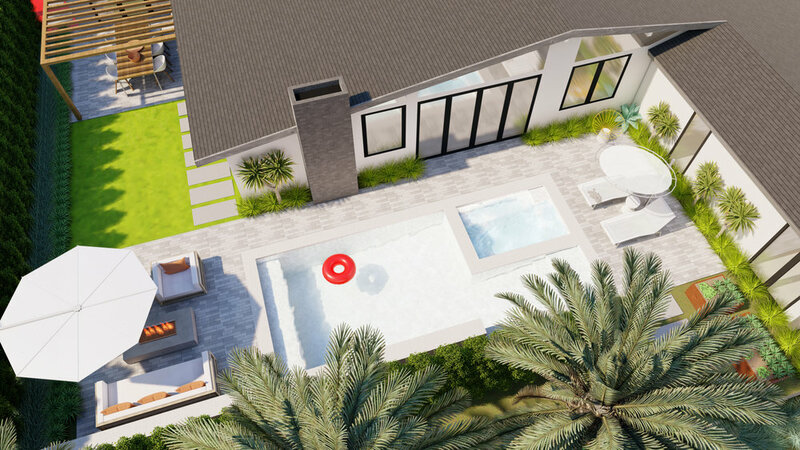 See your outdoor space expertly designed in 3D, with a plan customized for you. Traditional landscape design services can be costly and time consuming. We offer a flat rate for your entire design project, which includes access to a personal designer who will work with your schedule. Our streamlined process allows us to offer professional landscape design plans for a fraction of traditional costs. With Think Outside, you receive more than just pretty images to inspire – you are provided a professional concept plan to create your dream landscape. Your designer will eliminate all the guesswork in your landscape decisions and create a design with detailed notes explaining the layout, materials, and planting recommendations. Half Property is up to 50% of your property, for example a front yard or a backyard. Full Property covers your entire parcel from front to back, up to 2 acres. Here at Landscape Design Pro, all of our designers hold at least a Bachelor’s degree in Landscape Architecture, have experience working with all budgets and will work with you and your availability to make your dream landscape a reality. We offer a hands-on design experience that allows free flowing conversation and feedback with your designer. You can connect with your designer throughout this process to share ideas, images, provide feedback and make requests.